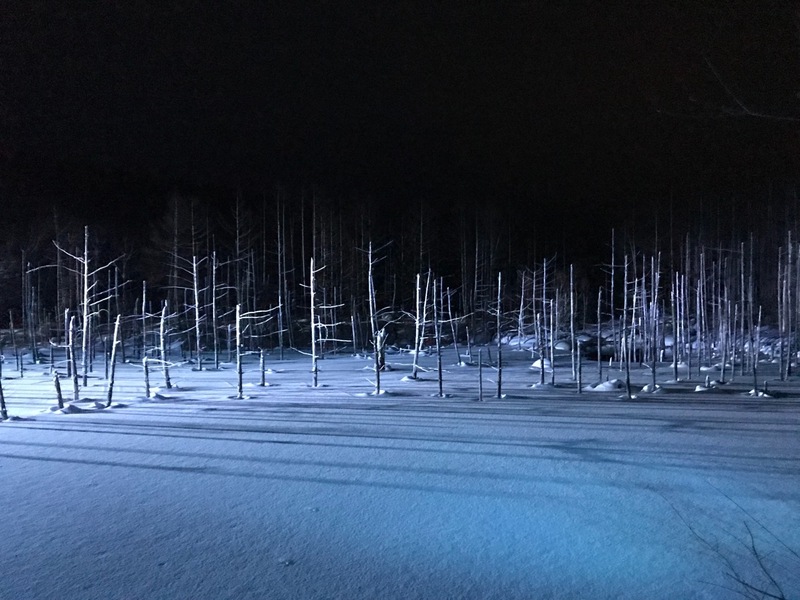 Blue pond in snow under spot lights. 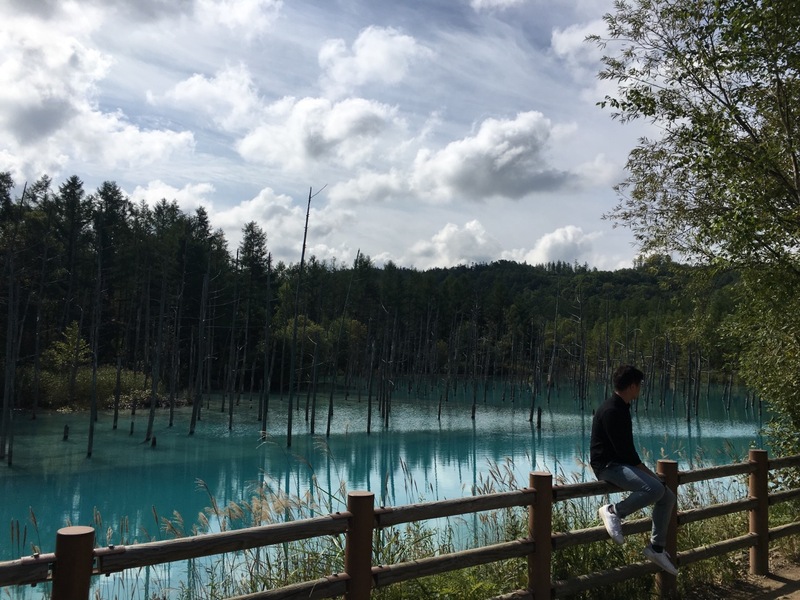 Small attraction but a gem. 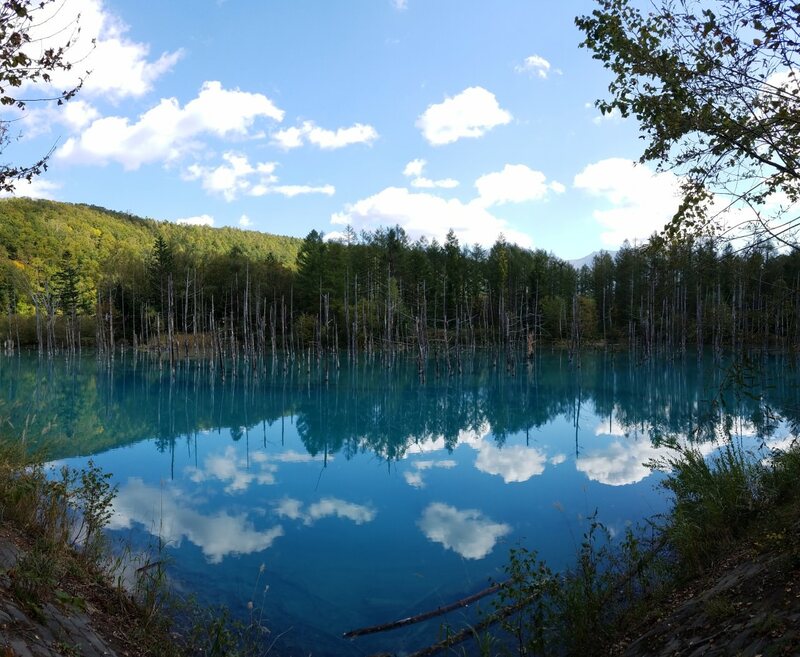 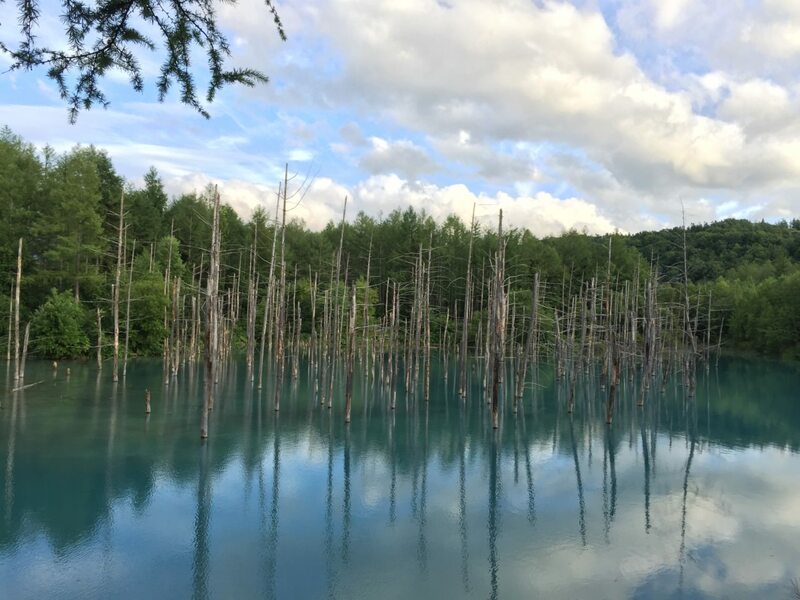 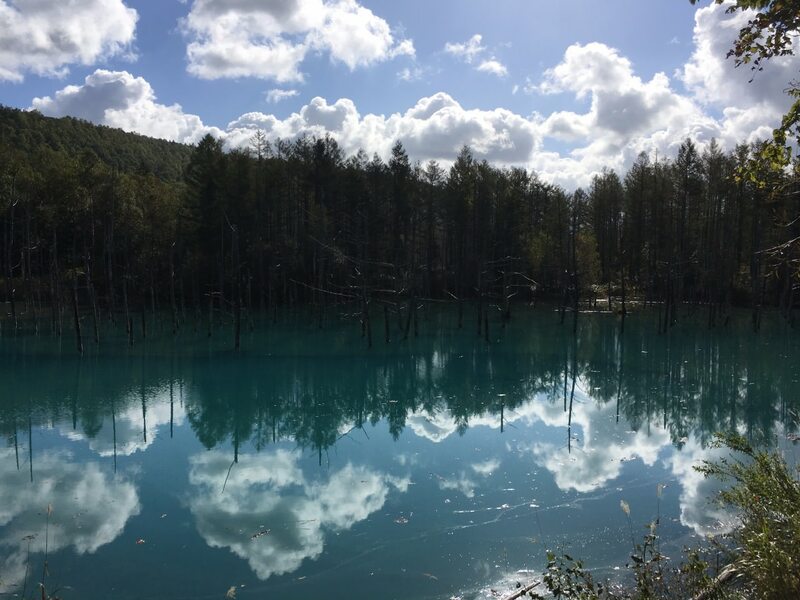 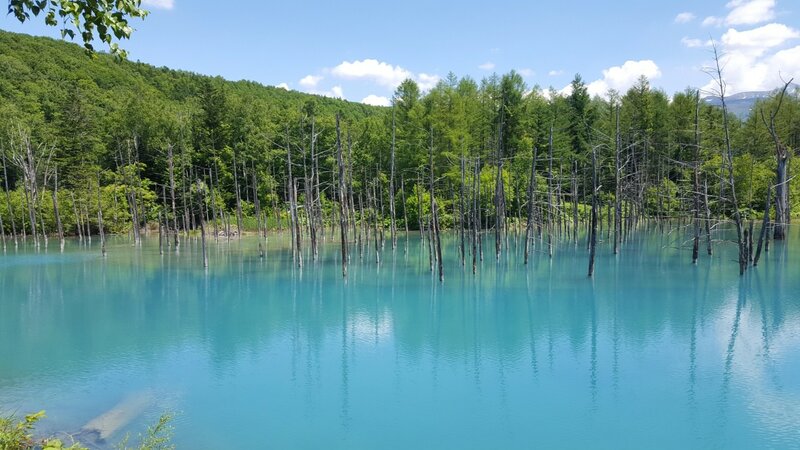 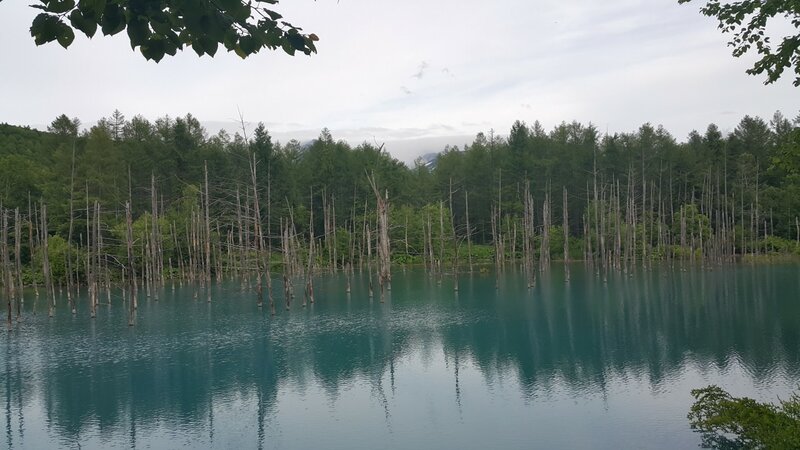 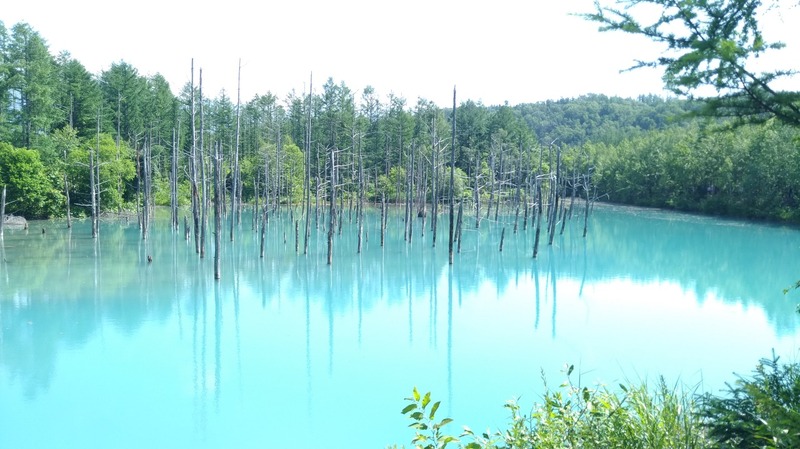 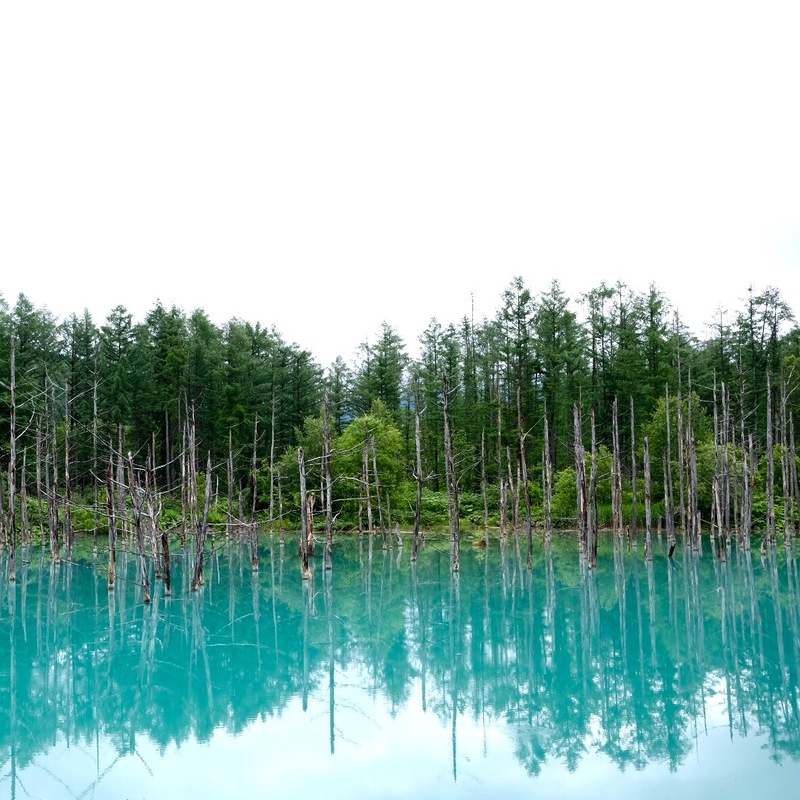 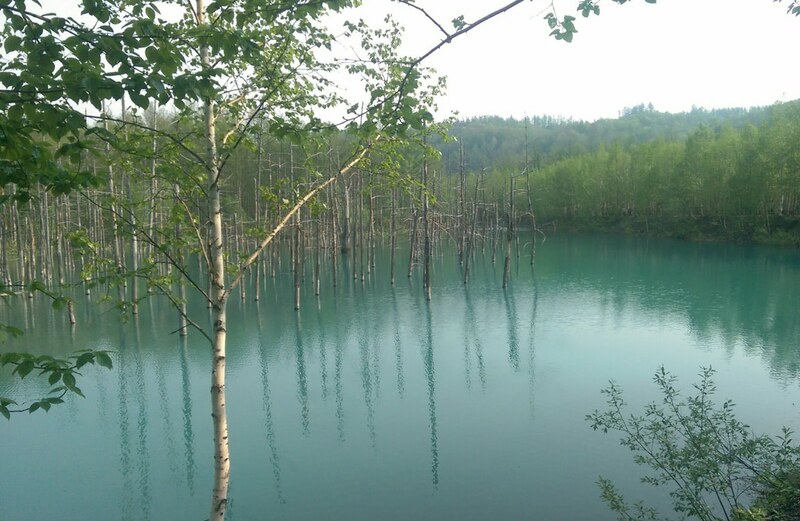 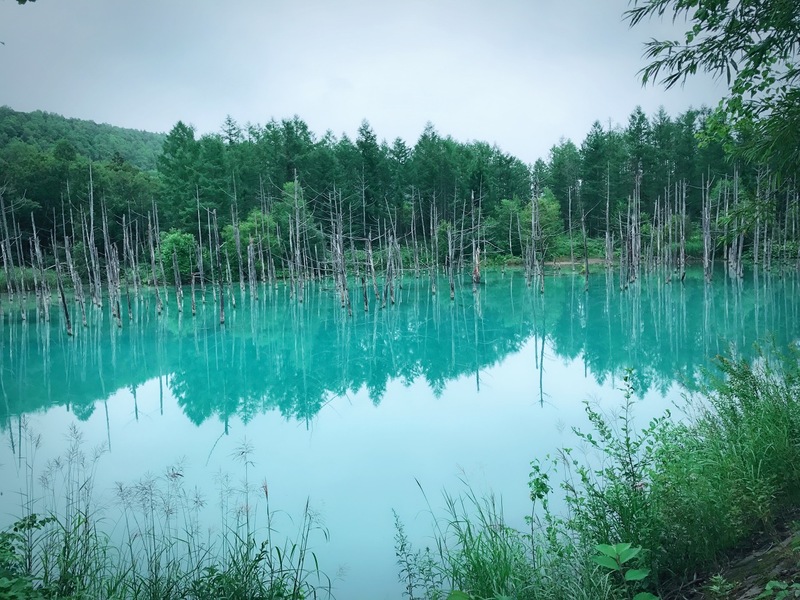 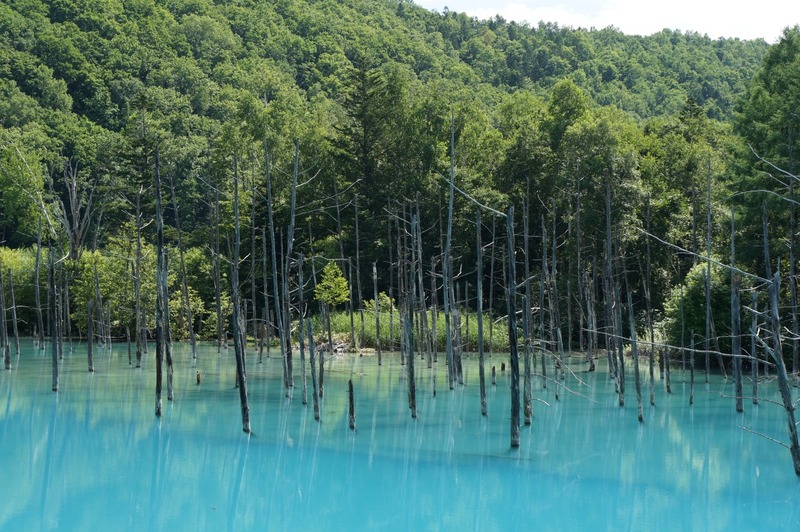 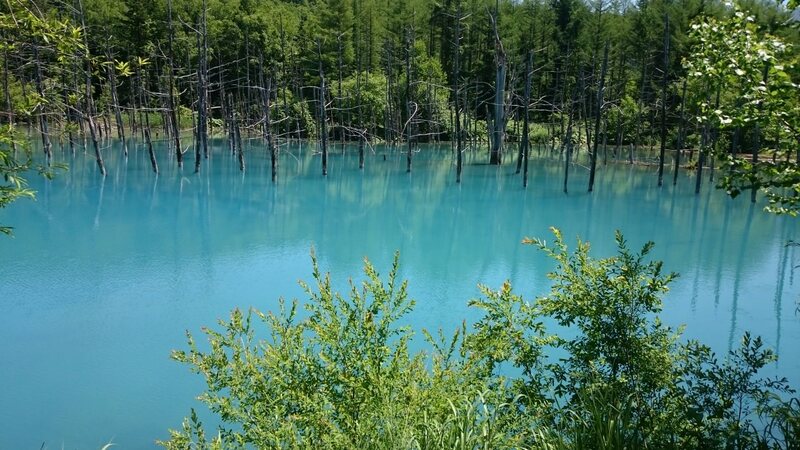 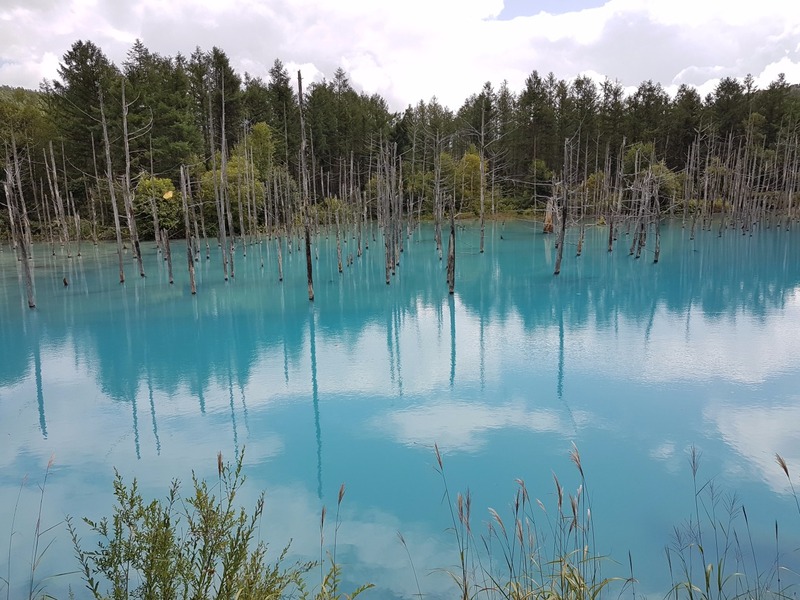 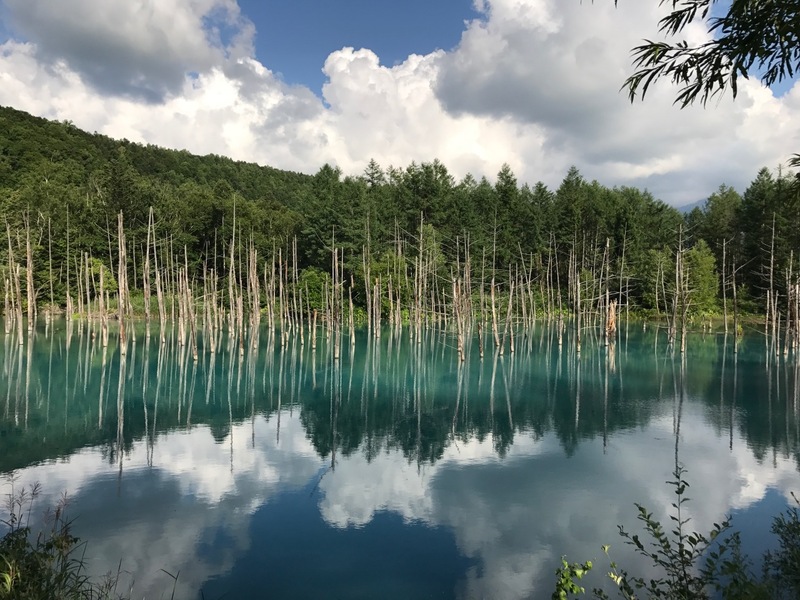 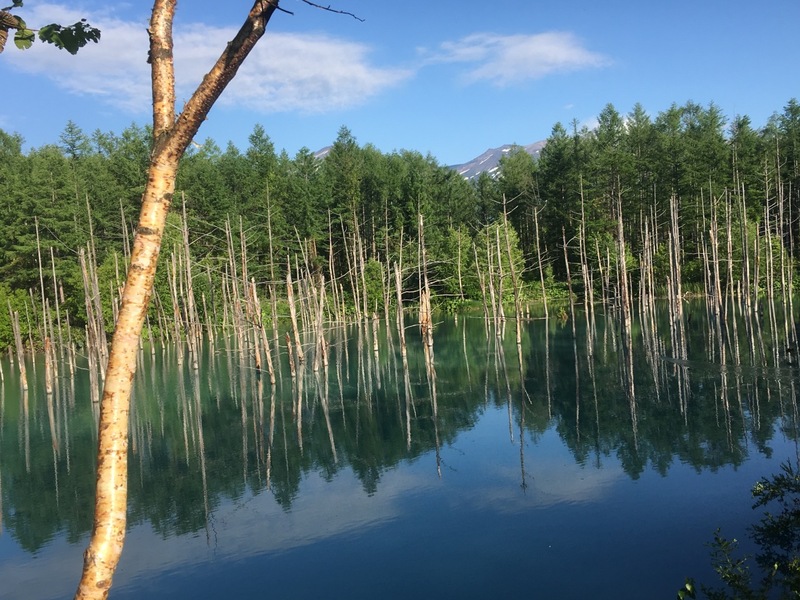 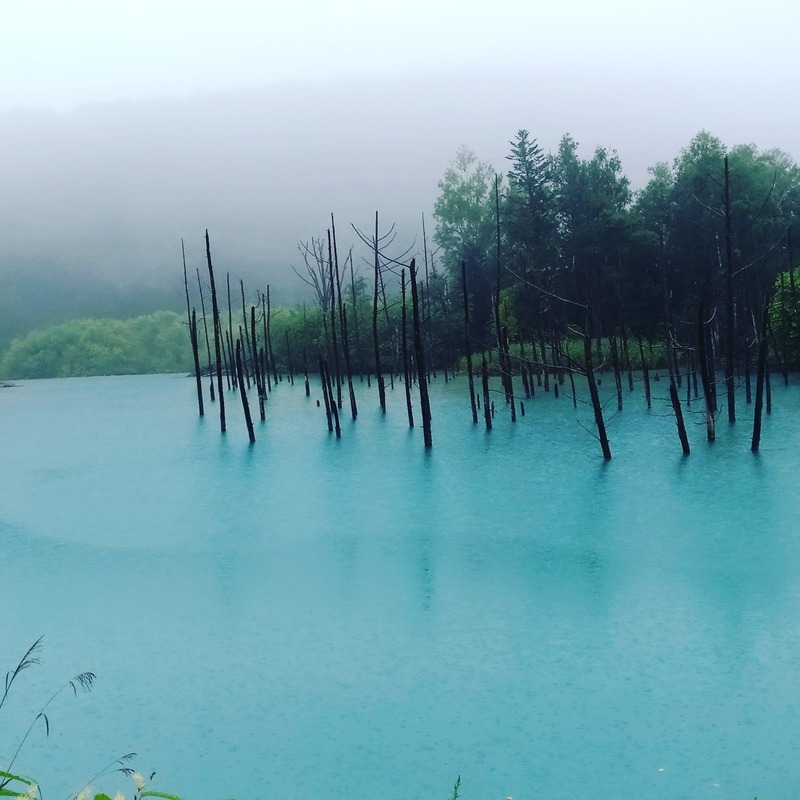 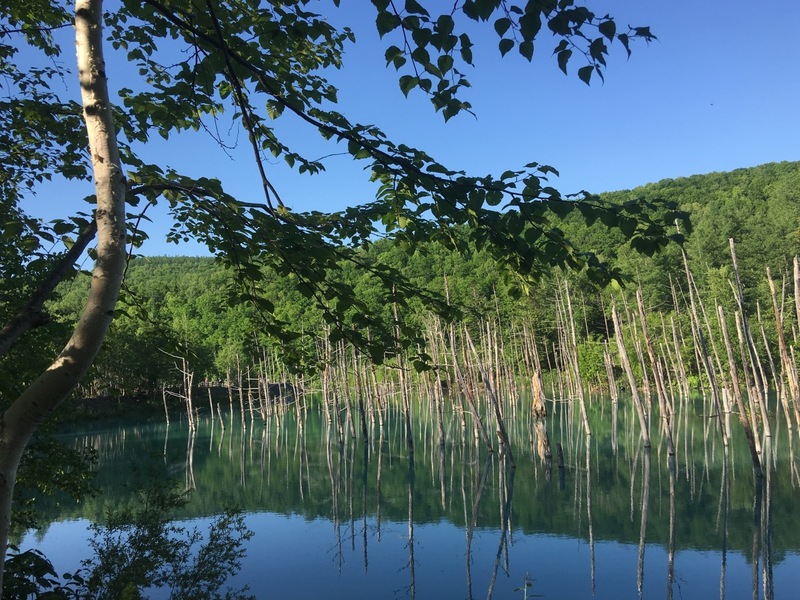 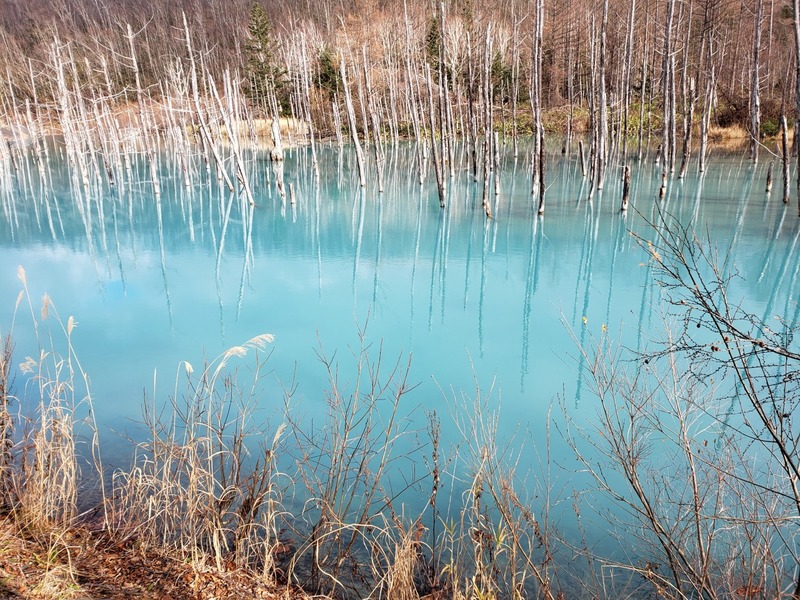 Blue pond@Biei is a must visit for its fascinating natural beauty. 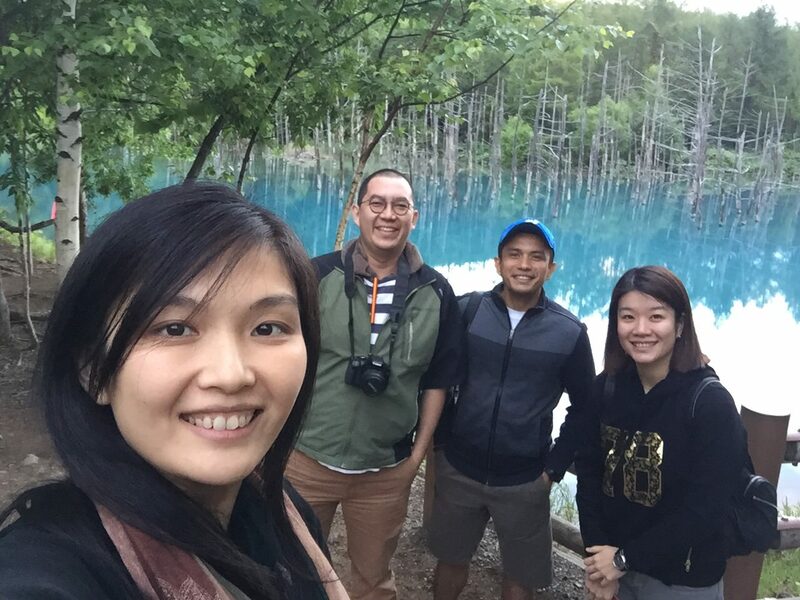 We couldn’t help it but to take a wefie with the breath taking blue pond at Biei..